Burnley FC Women’s defender Vikki Eastwood appreciates that another championship trophy is in touching distance, but she’s refusing to take her eye off the ball. The club, managed by Matt Bee, are closing in on a second successive title. And 11 points from their remaining six fixtures would be enough to guarantee them promotion to the FA Women’s National League Northern Premier Division. 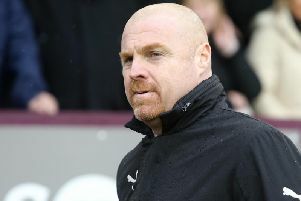 The Clarets take on Newcastle United at the Arbories on Sunday, and Eastwood said: “The aim is to take the last six games one game at a time and get as many points as we can to win the league. “We know we are close, but there is still a lot of work to be done between now and the end of the season. Defeat to Bolton Wanderers last month, which ended a magnificent streak of 12 wins on the bounce in the league, was a gentle reminder that the job isn’t quite finished yet. But Eastwood is confident heading into the final stretch of the season, after returning to winning ways against Norton and Stockton Ancient Ladies. “I am looking forward to all the remaining games,” she said. “It’s a very competitive league and they will all be tough games, so we need to make sure we are ready for each game and make sure we perform to get the results we need. “It’s a great achievement in any league to win 12 games back to back, we are very proud of our results this season. “It was obviously disappointing to lose against Bolton, but in fairness we didn’t perform well enough on the night to win the game. “It was important we responded well against Norton to get another win, which thankfully we did. “I think we have had an unbelievable season so far.